There’s no avoiding it. When you implement any kind of tracking software, especially the sort that collects data in real time, by nature you’re going to be accumulating a ton of data. 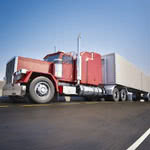 With all the different types of data a fleet tracking system logs–vehicle run time, amount of stops, idle time, mileage rates and routes progress to name a few–and the fact that many logistics fleets are operating 24 hours a day, seven days a week, it follows that you’re going to have a good amount of raw data on your hands before long. A lot of that material might not be all that illuminating isolated off on its own (some of it, like mileage rates for example, will come out as a huge list of machine data gobbledygook). The trick, however, is imposing context. The first step to doing that is analyzing the data to learn how one variable relates to the other in the real world. It’s a tough task, but a fleet management solution makes it far more doable than it might have been just a few decades ago. For example, in one case study from GPS Insight, a Phoenix-based fleet tracking software vendor, a tree service company was able to use two weeks’ worth of accumulated data on several variables like idle times and truck location. By combining those metrics into a preset report format the company was able to create policies that decreased idle time, put more emphasis on good driving habits and brought on approximately $80,000+ in fuel savings alone. Checking the hard numbers against the established company or industry standard. Checking the statistical distribution for any notable outliers on either end of the spectrum. Making closer examination of and taking feedback from drivers who are consistently running above or below average will provide potential insights and help you keep a realistic perspective. Checking different data categories against each other. Additionally, tracking and identifying trends over time is a great help come employee evaluation time. Linemen can be given highly detailed reports of their performance with clear numbers to back up the company’s recommendations on what they’ve delivered exceptional performance on and what they can improve. Not all employees are created equal. It’s not to say the name of this section suggests you should be pitting your staff against each other as if they’re in competition with each other, but disparities in performance rates are highly significant for any company that even wants to pretend it’s interested in tightening up its logistical operations. The point here isn’t so much to nail underperformers for the fact that they’re underperforming (though that’s necessary sometimes) but to recognize disparities where they exist and from there root out the core cause(es). If two linemen log two very different times for shipments on the same route, there’s any number of confounding variables that could be the explanation versus a simple “Driver B can’t cut it.” It could be the case that performance along that route is highly dependent on time frame–just looking at completion times wouldn’t provide any insight on that, but connecting them to assignment times can reveal correlations that might provide a more nuanced explanation. One of the criticisms most often lobbed against analytics is that they reduce employees and their performance down to a set of numbers and equations. What this view overlooks is the potential for a truly effective management team to use data as a tool for building a more representative profile of each of its employees and their abilities. The process of employee evaluations and performance reviews becomes far more quantitative and trackable, though it’s by connecting those hard numbers to character and personality that a company obtains a view of its talent that’s truly representative. Take your preparation for fleet tracking software to the next level. Compare pricing, deployment options and key features of leading platforms in our Top 10 GPS Fleet Tracking Software report. Or browse all of our resources on field service management by visiting the field service resource center.